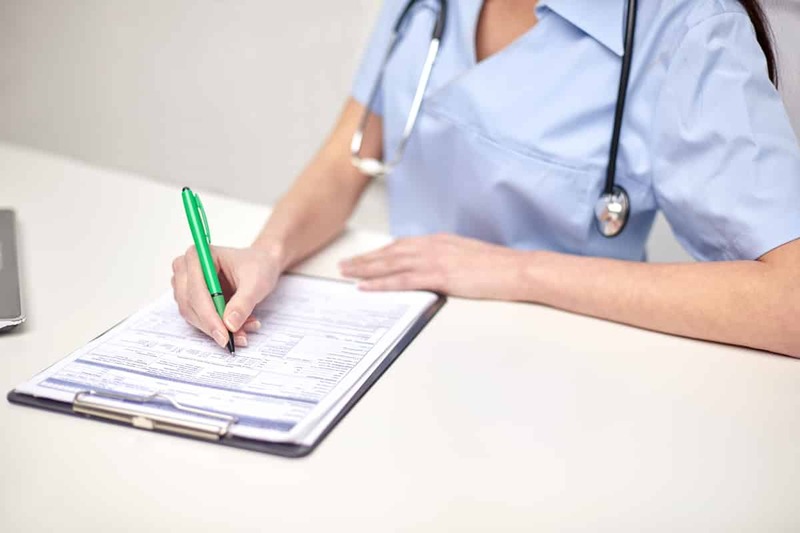 Over the past decade, the use of nurse practitioners (NP’s) in primary care has grown considerably, especially in underserved rural areas, according to a recently published study. With the increasing demand for health services, this is good news for improving healthcare delivery. The aim of the study, published in the June issue of Health Affairs, was to establish trends in the use of NP’s in primary care practices and how state policies and legislation influenced their use. Primary care is the first point of contact between the patient and the healthcare provider. It is mostly the point where major health problems are diagnosed and where patients with chronic conditions are helped to manage their disease and improve their quality of life. In the US there is concern over the dwindling number of doctors who choose to go into primary health care, especially in rural areas. Highly qualified nurse practitioners can fill this gap, 87% of whom practice in this field. The study found that between 2008 and 2016 there was considerable growth in the use of nurse practitioners both in rural and nonrural primary care practices. In 2008, NP’s constituted 17.6% of the healthcare providers in rural and 15.9% in non-rural practices. These figures had increased to 25.2% and 23% respectively by 2016. This implied a 43.2% growth in NP’s in rural areas and also that they represent one in four primary care providers. The laws relating to the scope of practice of NP’s in primary care vary widely between states. 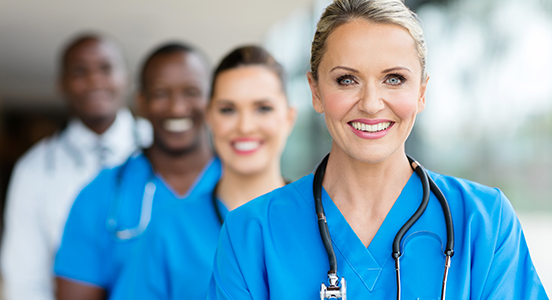 Some allow for full practice authority, allowing nurses to practice without physician supervision. Others require a collaborative agreement with a physician to prescribe medication, thereby restricting the service which the nurses can provide. These states undervalue the NP’s ability to provide quality primary care services. This despite the fact that studies have shown that NP’s provide safe and high-quality care, with a high rate of patient satisfaction. Restrictive laws could also deny health care to patients in areas where this is no primary care physician available. The study found that states with laws that allowed nurses to practice fully according to their scope of practice had the most NP’s. Here the percentage of practices with at least one NP increased from 35 to 45% in rural areas and 26.5% to 36.0% in non-rural areas. The highest growth had however been in those states with reduced or restricted practice laws. 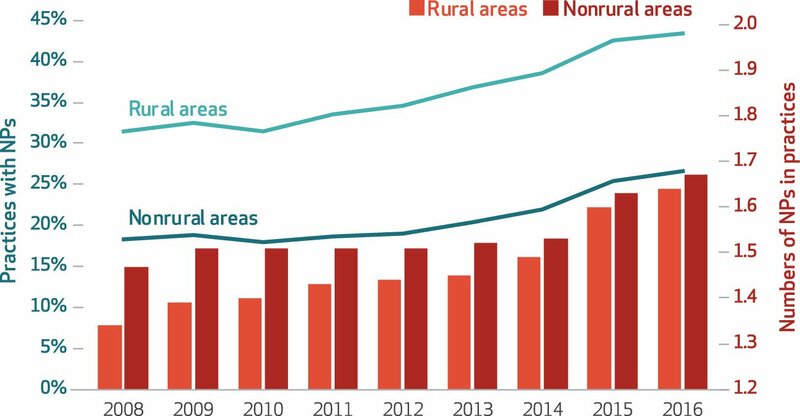 Here the percentage of practices using at least one NP increased from 30.7% to 46.0% in rural areas and from 29.9% to 42.3% in non-rural areas. For the future, this field appears to be a good choice for nurses to pursue. “Our findings imply that primary care practices are embracing a more diverse provider configuration, which may strengthen health care delivery overall,” the study concludes.